Let’s exclude the following objectives from the tests we’re putting together now. While we could certainly use Hexawise to the kinds of tests listed below, it’s useful to clearly determine “what’s in” and “what’s out” for any set of tests you’re creating. This brings us to Hexawise’s “Define Inputs” screen. 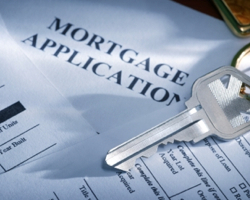 To put the business rules of the mortgage application process through their paces, we’ll want to create a set of tests that include a rich mixture of different combinations of the following test inputs. To do so, let’s add the following kinds of test inputs into Hexawise. 4) Whoa! How much time do we have to test? 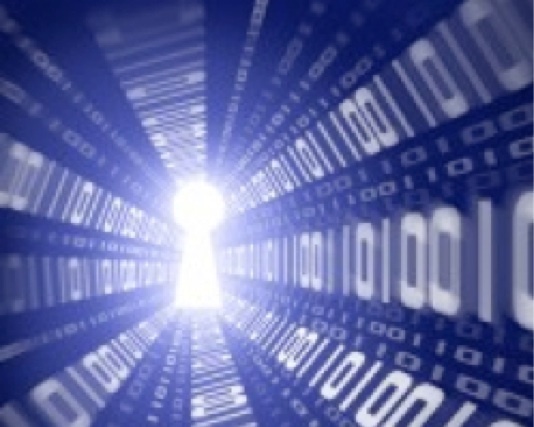 As we add each set of test inputs, the number of possible test cases increases dramatically. The combinatorial explosion starts innocuously enough. 5 different applicant credit ratings times 6 different applicant income levels is only 30 possible tests. 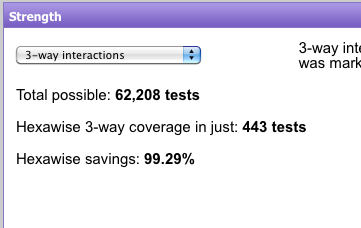 But by the time we add the last test inputs, there are more than 3.7 million possible tests to select from. How can you select a manageable subset of tests to execute from these that will find as many defects as possible? Cue Hexawise to snap out of data collection mode into test creation mode by clicking on the “Create Tests” button. It takes Hexawise algorithms 2.1 seconds to select the most powerful 48 tests from among the 3.7 million possible tests. To see how the Hexawise optimization algorithm works, (and listen in on the “conversation” that takes place between the tester and the Hexawise optimization algorithm during that 2.1 seconds), click here. Hexawise can help you answer “How much testing is enough?” and “When should we stop testing?” With Hexawise, you can make fact-based decisions about these important questions. The most important test cases (the ones that achieve the most coverage) are placed in priority order. Inevitably, a decreasing marginal return will occur over the course of a test plan. Here, for example, we can see if only have time to execute 20 tests, we can see we would achieve coverage of 84% of the total number of 2-way combinations that exist in our testing scope. Pairwise (or 2-way) testing is exceptionally good at focusing testing efforts on a small set of unusually powerful tests. Pairwise testing is limited though by its lack of comprehensiveness. Hexawise makes it easy to create dramatically more thorough sets of tests. It’s like having a dial to turn: simply choose the level of thoroughness you’re looking for. Let’s imagine that we’ve got a lot of resources at our disposal for testing. We’d be willing to execute 100 times as many tests to be as thorough as possible. As we move from 2-way tests to 3-way or 4-way tests, we’ll increase the number of tests required from dozens to hundreds, and then thousands. Naturally, as we increase the number of tests we’ll be executing, we’d still like to be as efficient and effective as possible. Hexawise helps us ensure that every test counts. 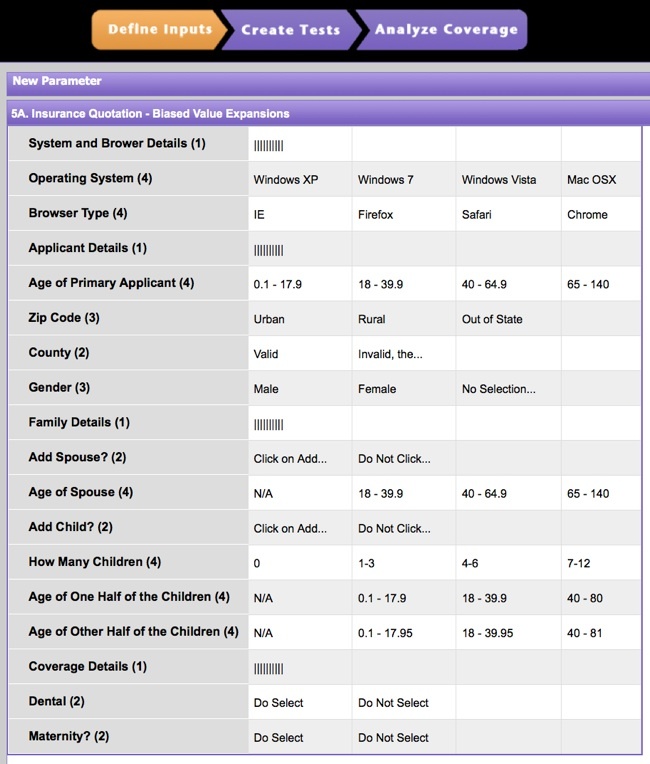 Location of property = California, AND Credit rating of applicant = B+, AND Type of property = vacation home, AND Applicant type = bank employee To create a set of tests that will test for every possible combination of 4 Values in at least one test case, we just need to select “4-way” from the drop down menu listed on the “Create Tests” screen. 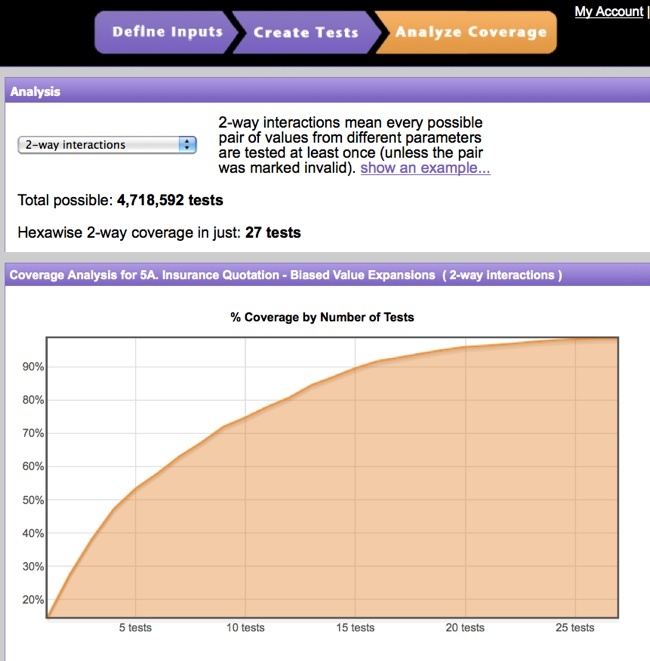 When we select 4-way tests, Hexawise informs us that we would require more tests to achieve this coverage goal. Until now, we’ve been treating each of the test inputs as if they are equally important. Let’s face it; common sense and lots of testing experience suggests that this is hardly ever the case. Some test inputs are more important than others. In addition, some combinations of test inputs are more important to test comprehensively than others. For this set of tests, let’s make the following assumptions about where our priorities. Credit Rating of Applicant (A, B, etc.) Property Type (1 Family, Condo, etc.) Residence Type (Primary, Investment, etc.) 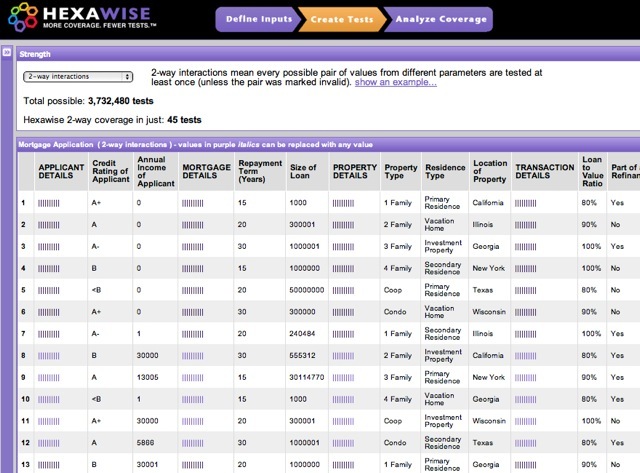 With Hexawise, we can generate a set of Mixed-Strength tests that will achieve 2-way coverage of all the Parameter Values we’ve identified AND ALSO test for every single possible 3-way combination of Values involving Credit Ratings, Property Types, and Residence Types. It turns out we require 121 tests (from the unchanged 3.7 million tests) to achieve our new, refined, coverage objective. 6) “Pareto on steroids” – Why those particular 48 tests? Firstly, every Parameter Value will be tested in at least one of the tests. Secondly, every valid pair of Parameter Values is tested together in at least one test case. In other words, every Parameter Value is tested in combination with every other Parameter Value in at least one of the tests. These particular 48 tests are especially powerful because, as explained below, the vast majority of defects can be triggered by just one or two test inputs. 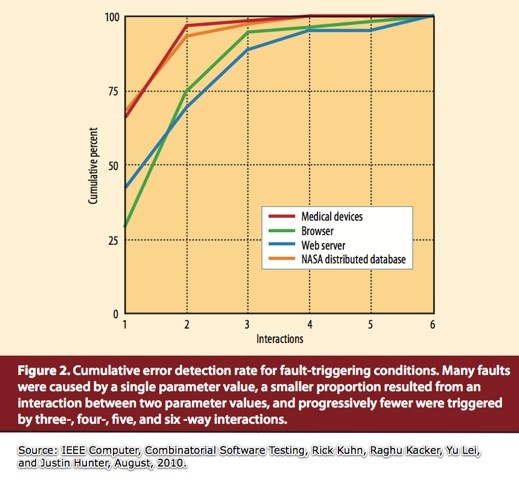 Decreasing marginal returns – It is quite uncommon for a defect to only be triggered by a specific combination of three or more test inputs. If, as is usually the case for business type applications, our objective is good coverage at minimum cost, we won’t focus our testing on those cases unless we have extra time after executing these higher priority 2-way tests. In safety critical domains, we would typically go for more thorough coverage.